The 2019 Honda Odyssey was recently named the Best Minivan* on U.S. News and World Report’s “Best Cars for Families” awards! From road trip games to back-to-school shopping, a minivan like the tried-and-true Odyssey can be invaluable to a family on the go. The new Odyssey starts at $30,190** and comes with all kinds of great family-oriented features to help you out. Take a look at what U.S. News and World Report had to say about this Honda model, and see for yourself whether the Odyssey fits your family’s needs! In order to pick their winners for each category, U.S. News and World Report looks at 129 new cars, SUVs, and minivans from the 2019 model year. They tally up safety and reliability ratings, seating and cargo volume, available family-friendly features, and professional automotive reviews in order to establish the vehicles that “truly make family life better.” The 2019 Honda Odyssey came out on top of its category* for the 9th year in a row! The team at U.S. News and World Report takes into account all kinds of real-life family-friendly features, not just easy features like a rear-seat DVD player. These features help make your life easier, whether you need a family car for new tots or teens learning to drive, or anything in between. The 2019 Honda Odyssey comes with features that parents will appreciate, like the hands-free power tailgate to help you put away groceries or other cargo while keeping one hand on a squirmy toddler. It also gets up to 28 MPG*** on the highway, so you can cut down on time spent at gas stations between family errands! The Odyssey also offers lots of advanced safety features, which any good family vehicle needs. All of the U.S. News and World Report winners have top-notch crash test safety scores****, as well as lots of other great safety technology. The 2019 Honda Odyssey was designed with features that help you change lanes, back up, and reach your destination with confidence and safety. With standard Honda Sensing on the EX trim and above, you’ll have all kinds of smart safety tech at your fingertips, plus handy driver-assist features for those long family road trips. From safety features to entertainment systems for the whole family to enjoy, the new Odyssey earns its place at the top of the “Best Cars for Families” minivan category*! 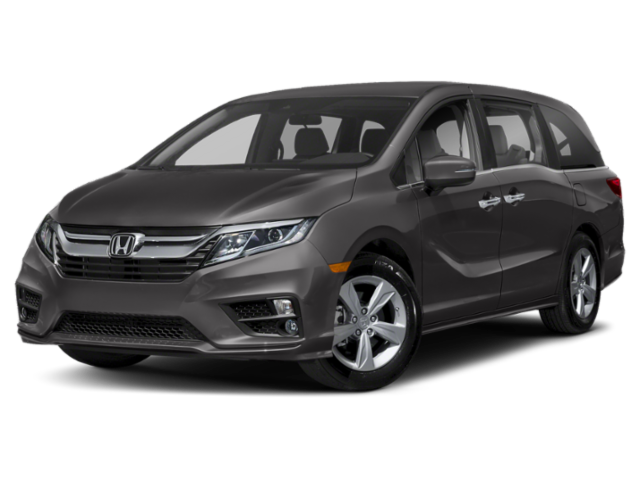 If you’d like to take a look at all the family-friendly features the 2019 Honda Odyssey has to offer, come and see one in person here in St. Paul, MN! Our friendly, knowledgeable sales team can help you find the perfect vehicle for all of your family’s needs, from performance to entertainment. Plus, if you find your new Honda here with us, you’ll be eligible to get the perks of our great Buerkle Rewards program. You’ll get benefits like two free oil changes, two free tire rotations, 5% back on parts and services, and more! We’re located near Minneapolis, Inver Grove, and Blaine, so stop by and see us soon! ***19 city/28 highway/22 combined MPG rating for LX, EX, and EX-L trims with 9-speed automatic transmission. 19 city/28 highway/22 combined MPG rating for Touring and Elite trims with 10-speed automatic transmission. Based on 2019 EPA mileage ratings. Use for comparison purposes only. Your mileage will vary depending on how you drive and maintain your vehicle, driving conditions and other factors. *Based on 2019 model year. For more information, visit U.S. News & World Report’s https://cars.usnews.com/cars-trucks/best-cars-for-families. U.S. News & World Report is a registered trademark of U.S. News & World Report LP.